2. 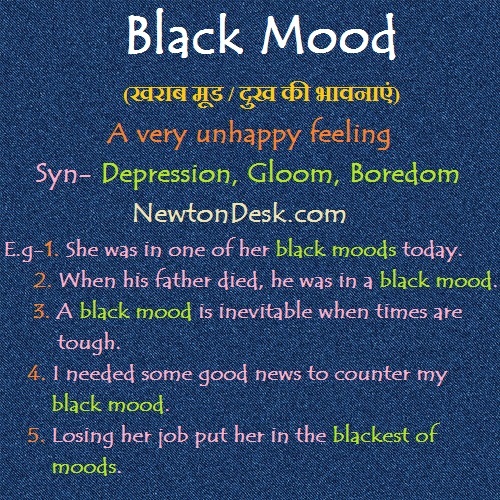 When his father died, he was in a black mood. 3. A black mood is inevitable when times are tough. 4. I needed some good news to counter my black mood. 5. Losing her job put her in the blackest of moods.